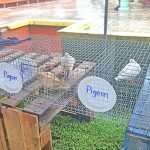 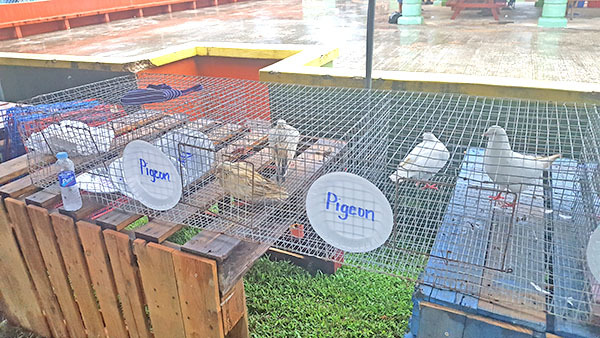 Pigeons are also on display at the 35th Agricultural Fair last Saturday at the Civic Center in Susupe. 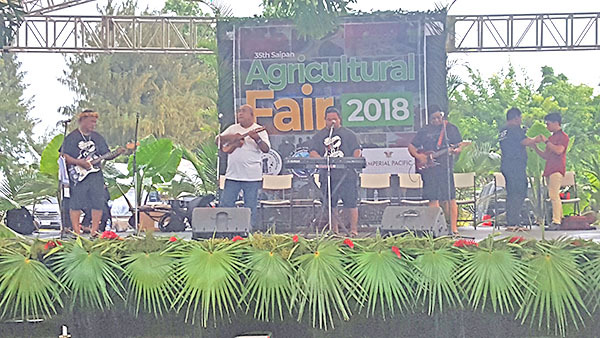 Local bands perform at the 35th Agricultural Fair last Saturday at the Civic Center in Susupe. 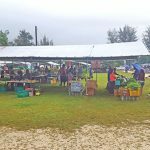 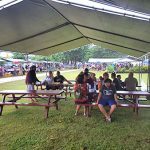 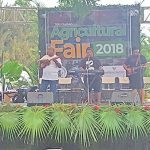 Despite the gloomy weather, the 35th Agricultural Fair last Saturday at the Civic Center in Susupe still managed to draw a sizeable crowd. 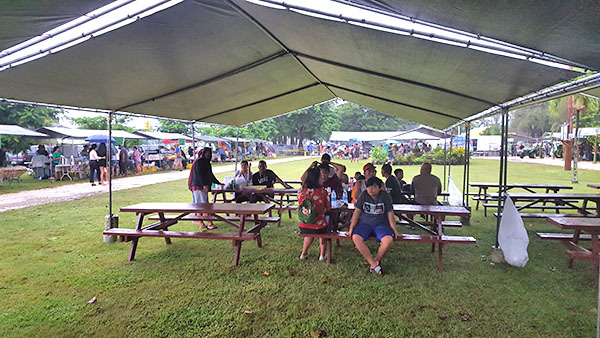 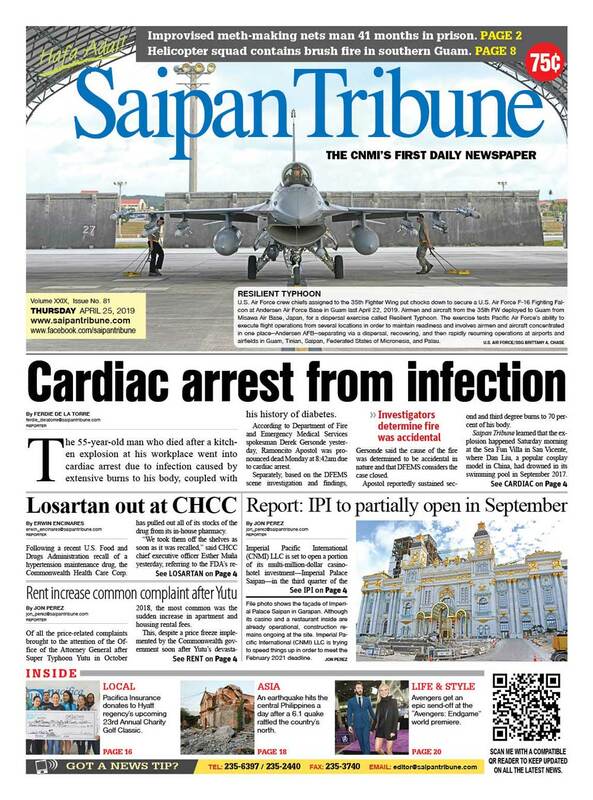 The number of visitors starts to build up at the 35th Agricultural Fair last Saturday at the Civic Center in Susupe. 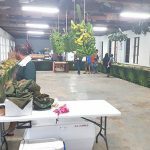 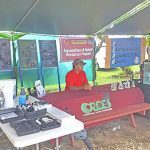 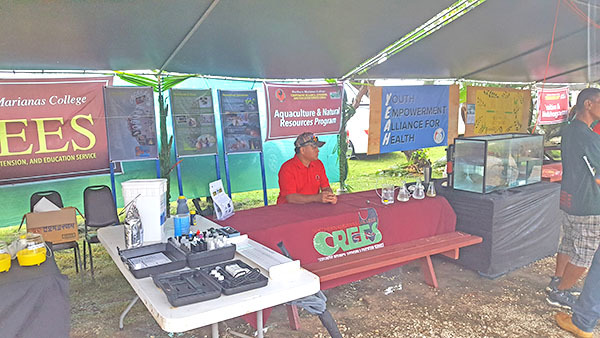 The Northern Marianas College-CREES booth waits for visitors during the 35th Agricultural Fair last Saturday at the Civic Center in Susupe. 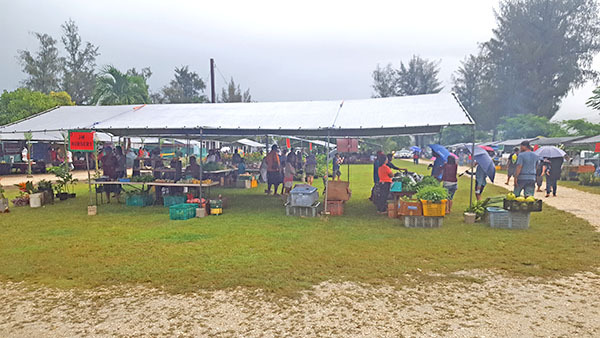 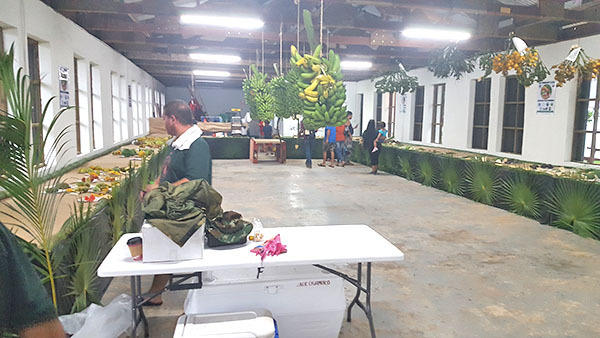 Visitors check out the variety of crops displayed inside the Guma Sakman at the 35th Agricultural Fair last Saturday at the Civic Center in Susupe to showcase farm production. 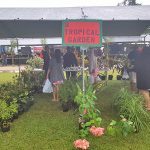 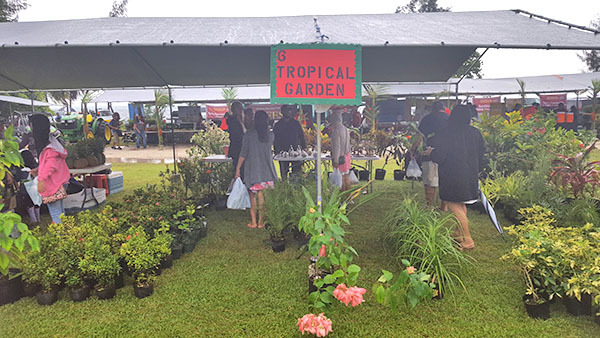 Tropical plants are showcased at the 35th Agricultural Fair last Saturday at the Civic Center in Susupe. 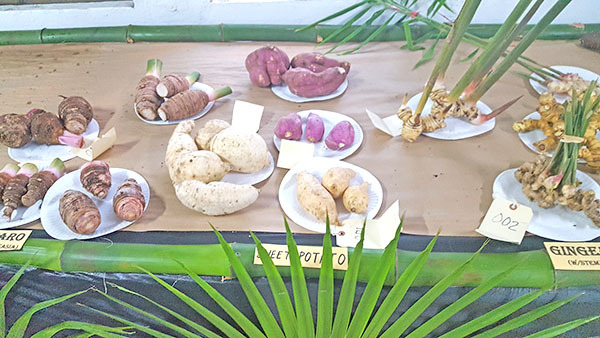 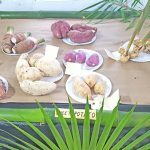 A variety of root crops—sweet potato and taro, among others—are on display at the 35th Agricultural Fair last Saturday at the Civic Center in Susupe. 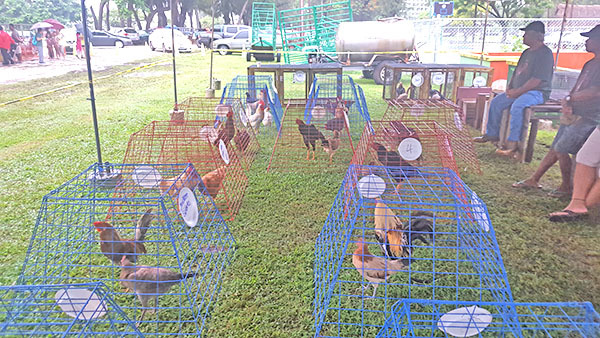 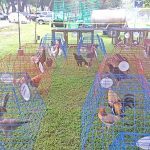 Chickens and roosters are on display at the 35th Agricultural Fair last Saturday at the Civic Center in Susupe. 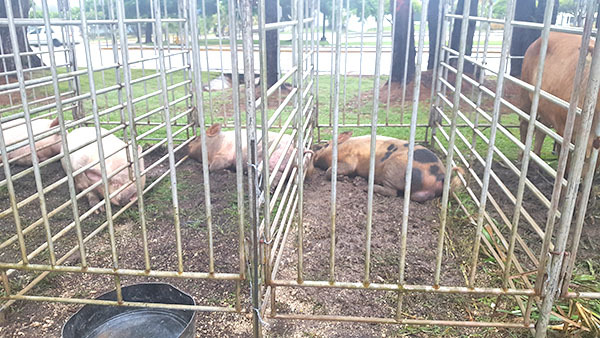 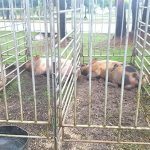 The pigs rest inside their cages during the 35th Agricultural Fair last Saturday at the Civic Center in Susupe.